Μαγνήτης κεραμικός Wilkinson MWVSM (Middle) single coil για Stratocaster. Μαγνήτης κεραμικός Wilkinson MWVSM (Middle) #0512 single coil για Stratocaster. Classic staggered po..
Μαγνήτης κεραμικός Wilkinson MWVSN (Neck) single coil για Stratocaster. 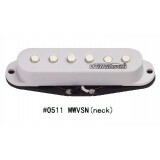 Μαγνήτης κεραμικός Wilkinson MWVSN (Neck) #0511 single coil για Stratocaster. Classic staggered pole..
Μαγνήτης κεραμικός Wilkinson MWVSB (Bridge) single coil για Stratocaster. 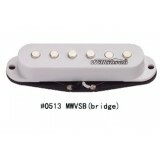 Μαγνήτης κεραμικός Wilkinson MWVSB (Bridge) #0513 single coil για Stratocaster. Classic staggered po..
Μαγνήτης Wilkinson MWHSM (Middle) High Output single coils voiced για Stratocaster. Μαγνήτης Wilkinson MWHSM (Middle) #0522 single coil για Stratocaster. High Output single coils..
Μαγνήτης Wilkinson MWHSN (Neck) High Output single coils voiced για Stratocaster. Μαγνήτης Wilkinson MWHSN (Neck) #0521 single coil για Stratocaster. High Output single coils v..
Μαγνήτης Wilkinson MWHSB (Bridge) High Output single coils voiced για Stratocaster. Μαγνήτης Wilkinson MWHSB (Bridge) #0523 single coil για Stratocaster. 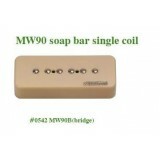 High Output single coils..
Μαγνήτης κεραμικός Wilkinson MW90 B (Bridge) single coil Soap Bar. Μαγνήτης κεραμικός Wilkinson MW90 B (Bridge) #0542 single coil Soap Bar. 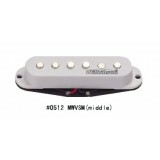 Combining the fat tone of h..
Μαγνήτης κεραμικός Wilkinson MW90 N (Neck) single coil Soap Bar. Μαγνήτης κεραμικός Wilkinson MW90 N (Neck) #0541 single coil Soap Bar. Combining the fat tone of hum..
Μαγνήτης κεραμικός Wilkinson MWTB (Bridge) vintage voiced tele style. Μαγνήτης κεραμικός Wilkinson MWTB (Bridge) #0533 Ceramic vintage voiced tele style Pickup for that c..
Μαγνήτης κεραμικός Wilkinson MWTN vintage voice (Neck) Chrome tele style. 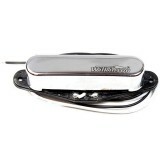 Μαγνήτης κεραμικός Wilkinson MWTN vintage voice (Neck) Chrome #0531 tele style Pickup. 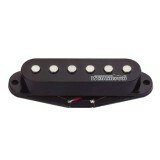 Wilkinson MWT..
Μαγνήτης κεραμικός Humbucker Wilkinson MWHB B (Bridge) High Output. 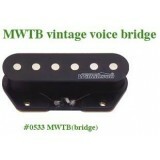 Μαγνήτης κεραμικός Humbucker Wilkinson MWHB B (Bridge) #0552 High Output. With the classic humbucker..
Μαγνήτης κεραμικός Humbucker Wilkinson MWHB N (Neck) High Output. 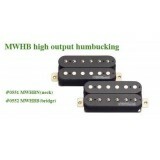 Μαγνήτης κεραμικός Humbucker Wilkinson MWHB N (Neck) #0551 High Output. 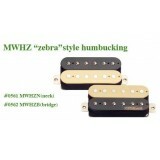 With the classic humbucker v..
Μαγνήτης κεραμικός Humbucker Wilkinson MWHZ B (Bridge) High Output Zebra style. Μαγνήτης κεραμικός Humbucker Wilkinson MWHZ B (Bridge) #0562 High Output Zebra style. With the class..
Μαγνήτης κεραμικός Humbucker Wilkinson MWHZ N (Neck) High Output Zebra style. Μαγνήτης κεραμικός Humbucker Wilkinson MWHZ N (Neck) #0561 High Output Zebra style. With the classic..
Μαγνήτης κεραμικός Wilkinson MWTN vintage voice (Neck) Gold tele style. 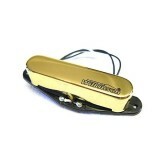 Μαγνήτης κεραμικός Wilkinson MWTN vintage voice (Neck) Gold #0532 tele style Pickup. Wilkinson MWTN ..